Home / Blog / What Is CLS Wood? Canadian Lumber Standard timber commonly referred to as CLS wood timber became popular in Canada for building strong and durable timber-framed homes. This timber is usually manufactured from kiln-dried fir, pine, or spruce. It is then treated, planed, and finally finished with rounded edges to create accurate and precise tolerances. This type of timber is known to provide aesthetically pleasing finishes and facilitate easier and comfortable application of paint, stains, and preservatives. Over the past few years, CLS timber has also become popular in the United Kingdom where it is mainly used in timber-frame construction, internal partitioning, framing, and carcassing. 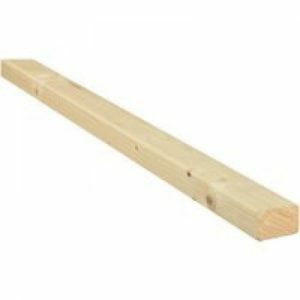 This timber is also ideal for internal stud walling since it is surfaced on all of its four sides and it has rounded arrases. The CLS timber is produced in a wide range of sizes that suit various uses. This product has also been machined on all of its four faces and edges to create beautiful finishes. The CLS timber is usually graded in respect to its strength in strict conformity to the British Standard EN 14081-1:2005. This wood can be graded as either C16 or C24. The C24 is the stronger grade, but both categories tend to have a similar physical appearance. All timber that is graded as C16 is suitable for internal construction work since it may not be able to withstand the harsh external climatic conditions. You need to be cautious while purchasing CLS timber to make sure that you go for the right grade. The CLS timber falls into the easy-edge C16 timber. The easy-edge timber is usually graded as standard C16 timber, but it is smoother and machine-finished making it suitable for a wide range of construction jobs. The easy-edge CLS wood timber is widely used in framing. As mentioned earlier, the C24 is high-quality, and it is a little bit more expensive than the C16 grade. It is stronger and suitable for various structural purposes. The C24 grade is primarily imported from various regions where the climate favours a slow growth rate. Apart from Canada, the CLS timber is also grown in Europe. Why Use CLS Wood Timber? Well, there are a lot of reasons why you need to consider using CLS timber in your construction projects. Its rounded corners and edges combined with the fact that it has small knots at it edges make it quite safe to handle and reduces the risk of accidents such as fire outbreak. Its high-strength and durability also make it a popular option in the UK and across Europe for creating indoor partition walls. The CLS timber is also a perfect match for any internal construction or structural work. It also provides a cost-effective construction solution since it is more durable compared to the other types of wood timber. Thanks to its curved edges and smooth finishes, the CLS is easy to handle and ferry. It is also available in varying lengths and widths to minimise cutting that may lead to a lot of wastage. CLS is also regulated and responsibly sourced to ensure that its prices remain competitive throughout the year. To enquire about this product for your construction based project, please call Theo’s Timber on 0161 834 6789 or contact us online.